Buccastem M is a treatment indicated for nausea. It works by blocking the transmission of signals to the brain which trigger vomiting. Finding the nausea treatment you need online doesn’t have to be hard. You can order medication in minutes by filling in our confidential questionnaire. 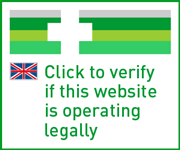 Each case is checked by a registered doctor before being dispensed by our UK-based pharmacy. Contained in one tablet is 3mg of prochlorperazine. These tablets are usually taken once or twice a day, for two days. Buccastem M is a buccal tablet marketed in the UK by Alliance Pharmaceuticals, and is used for the treatment of nausea and vomiting caused by migraine. It is unlike a standard pill, as it is placed in between the top lip and the gum, and left to dissolve. The drug treats nausea by blocking the transmission of signals to the vomiting centre in the brain. Nausea, the term used to describe the need to be sick, and vomiting, actually being sick, are among the more common traits of a migraine. Many people define them simply as a bad headache, but in most cases they’re much worse. Problems with sight can occur, in particular black spots or patches obscuring the person’s view, as well as flashing lights or lines across the field of vision. Some people may also develop an increased sensitivity to noises. An intense headache which is preceded by these symptoms, which are collectively called aura. In some instances, a person may not experience these warning signs and just develop a severe headache; while in others, aura symptoms may occur but no headache results. Treatment is most typically issued in the form of painkillers. If over-the-counter options don’t sufficiently relieve pain, then a course of drugs called triptans may be recommended. But for severe cases, a combination of medicines may be suggested to treat other associated symptoms. Buccastem M is designed to alleviate sickness during migraine. In the brain, feelings of nausea are triggered when signals are sent from another part of the body, be it the gut or a different section of the brain, to the vomiting centre. This might be due to disturbance in the digestive tract, disorientation causing the brain to receive conflicting signals, or even intense pain. Once the vomiting centre is activated, it tells the body to be sick. The main acting constituent of Buccastem M is a compound known as prochlorperazine. In medicine, this belongs to a category of treatments called phenothiazines, and has antiemetic qualities. The way it works is to disrupt the passage of signals in the brain, between the chemoreceptor trigger zone (or CTZ) and the vomiting centre. It does this by inhibiting the function of receptors in the CTZ which are susceptible to the dopamine neurotransmitter. This interrupts the chain of offending messages being relayed to the vomiting centre, and reduces the need to be sick. You can buy Buccastem M from our UK-based pharmacy in a matter of minutes. All you need to do is take our simple questionnaire and, once complete, a doctor will review your answers. If the drug you have selected is safe for you, your order will be sent electronically to our trusted pharmacy, who will ship your item by special delivery. We pride ourselves on our speedy and efficient service. From consultation to the medication arriving at your door, your transaction should not take more than one working day. It is essential when using this treatment to adhere to the instructions your prescriber has issued, and to follow the guidelines specified in the patient information leaflet. This will help you to get the best possible results from your medication, but will also work to lower the risk of side effects. A typical dose may be one or two tablets a day, taken over the course of two days. These tablets are not to be swallowed or chewed. Place one tablet inside your mouth, in the space between your gum and your top lip. Keep the pill in this position. It should begin to dissolve and will no longer be noticeable within a couple of minutes. Do not exceed the dose prescribed by your consultant. If you forget to take it, simply continue to take the course as normal. These directions are provided only as a guide. Full instructions are outlined in the leaflet supplied. The presence of some side effects, such as anything which may be a sign of an allergic reaction, or in the case of Buccastem M, signs of a blood clot or of a condition called neuroleptic malignant syndrome, will require immediate attention from a doctor. More information on what these look like can be located in the leaflet supplied. Local irritation in the gum. Breast swelling, tremors and muscle rigidity, and unusual movements of the face and tongue. The above is not a complete list of the recorded side effects associated with this product. A more detailed account can be found in the patient information leaflet. Let your doctor know if you are using any other products during consultation, as these may inhibit your ability to use this product safely. Buccastem M may affect or be influenced by the function of sedatives or tranquillisers, or treatments for high blood pressure. This drug is not suitable for everyone. Do not use it if you have: liver problems; blood problems; epilepsy; Parkinson’s Disease; glaucoma; or problems with your prostate gland. It should not be taken by anyone under 18 years old. You should also let your prescriber know if you have: high blood pressure or cholesterol levels, or anything else which means you are at increased risk of a blood clot; diabetes; or if you smoke. Do not take Buccastem M if you are pregnant, breastfeeding or trying to conceive. This medicine may cause drowsiness. Do not drive or use machines until you are certain of how this treatment will affect you. You should take Buccastem M after food. Do not drink alcohol while using this medication. Buccastem M contains sucrose. If you have any intolerance to sugars, tell your prescriber. Refrain from drinking alcohol while using this product, as interactions may occur. Buccastem M may cause drowsiness, and make driving unsafe. You should allow the tablets time to work before attempting to drive so that you know if they are going to affect you in this way. The use of this product is not recommended for those who are pregnant or breastfeeding. Keep it in its original packaging so that it is not exposed to excessive sources of light. This drug contains: prochlorperazine maleate, compressible sugar (sucrose), povidone K30, xanthan gum, locust bean gum, talc, magnesium stearate and riboflavin sodium phosphate. Do not take it if you are allergic to any of these components. You can only buy Buccastem M in the UK with a prescription. Our online consultation service means you can have your case reviewed by a doctor, who will issue a prescription where suitable. Find out by completing one of our confidential questionnaires. Your answers will be checked by a GMC-registered practitioner, and once your order is approved, our reliable pharmacy will dispense your treatment. Delivery is made on all orders by secure 24-hour courier, so you will never have to wait more than one working day to receive your items.